When the first settlers arrived in New England, native Americans were growing pumpkins that looked like this one among their corn. It is the original Halloween pumpkin and makes great pies too. Fruits measure 12-20" in diameter and weigh 15-25 lbs. Pumpkin, Connecticut Field is rated 4.1 out of 5 by 11. Rated 2 out of 5 by TAJ46 from Not as advertised I bought a package that was labeled "25 seeds". Upon opening and counting, I discovered only 18 seeds in the packet. Hopefully they will produce well, but clearly something went wrong in the packaging. 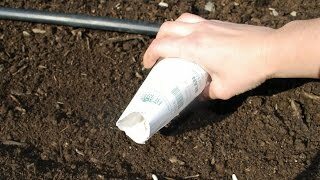 So you should probably verify the number of seeds when you open a package. Rated 4 out of 5 by Cowgirl980 from Hope they grow better They didnt grow good for me last year, watered them with well water that turned everything white. Think thats why i never have any luck with stuff haha. Gonna give them another try with the city water now. Rated 5 out of 5 by irelamanda from Great for a Pumpkin Patch. With quick germination we were very surprised with how big and pretty the leaves became. As with any normal squash plant I had to do weekly maintenance to keep squash beetles (red and black beetles) and stink bugs away. We never had any really big pumpkins, but the majority were about 6 to 8 lbs. It was fun to watch them grow. See the photo for what our patch on the side of the house looked like in July. We will always grow these variety of pumpkin and are very pleased with the results. I also cook with them and a they make a great puree for pumpkin bars. Rated 5 out of 5 by Rob1 from Outstanding pumpkin This pumpkin is the most hardy I have ever grown. We had a bad drought this year in Michigan and I thought I that they would not make it. As soon as the rains came, the plants came to life. I had only one seed that lived, but have three nice pumpkins. They did not began to grow until late July ,but they are starting to turn orange in time for Halloween. Rated 5 out of 5 by Joolikins from Smashing Punkins! I grew these in hideous clay soil, with only a shovelful of horse manure six inches below and mulched with straw. 95% sprout rate, and the strong vines snaked all over to lengths of 15' to gossip with all the other veggies. My pumpkins are even better-looking than the one in the Burpee picture, so there. Beautiful to handle for cooking, and excellent for carving. I'm looking for fuller flavor, and improved soil conditions next year should help with that. Easy to grow and a pleasure to have. Rated 5 out of 5 by Kater from Fast Growing Connecticut Field Pumpkins I am very pleased with this pumpkin. This my first gardening endeavor and I am very happy with the results. 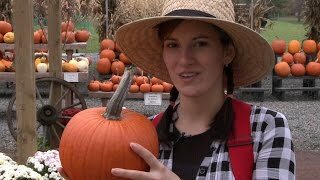 These pumpkins are very easy to take care of and are fun to watch. I was surprised how fast they sprouted and then kept growing. Rated 5 out of 5 by TomatoBug from Best pumpkin in the garden.... I highly recommend this variety. I've grown it for several years and have never once had a problem. Beautiful pumpkins ~ everytime!